The Church of medieval Europe struggled to find ways to present the Gospel to people in the midst of cultural change and upheaval. This fascinating study is an excellent resource for all Church homilists, preachers, and even catechists who want models and strategies for linking the deeper truths of the faith to the changing and diverse needs of people in their communities. By studying the methods and sermons of doctrinal preachers from Augustine until the eve of Trent, we can learn how to be more conscious of what preaching can accomplish. As a work that appeals to a common tradition in the various Western Churches, this study is also helpful across denominational lines. Featuring detailed analysis of medieval homilies and sermons from St. Augustine, St. Gregory the Great, St. Bonaventure, John Colet, and Henry Suso, as well as original sermons available for the first time in English from Peter Damien and Stephen Langdon, this book is an ideal tool for pastors, deacons, retreat leaders, and homiletic students. 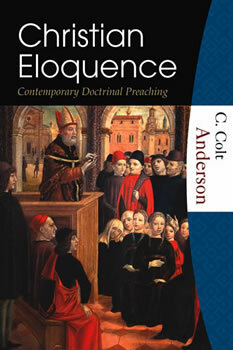 It also serves to introduce readers into the theology and the history of the period. This title is a part of the Hillenbrand Books imprint, Textbook series. C. Colt Anderson is associate professor of Church history at University of St. Mary of the Lake/Mundelein Seminary and has a PhD from Marquette University. He specializes in Church History from the 5th to the 16th centuries. His interests include both Catholic and Protestant reform movements, Franciscan theology, Exegesis, and Ecclesiology. He is the author of A Call to Piety: St. Bonaventure's Collations on the Six Days from the Studies in Franciscanism series (Franciscan Press/Quincy University, 2002) and is currently writing a book on the great Catholic reformers for Paulist Press.